Indications have emerged that Prime Minister Narendra Modi is “upset” with his principal secretary Nripendra Misra, the person handpicked from what an organization which many believe operates under RSS’ wings, Vivekanand Foundation. Modi has increasingly begun to rely, instead, another Misra, his principal secretary in Gujarat during the 2002 anti-Muslim riots, says an authoritative report. Quoting sources in the Prime Minister’s Office (PMO), the report adds, Nripendra Misra has already been “overshadowed by his subordinate, additional principal secretary PK Misra”. 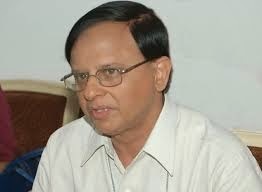 Nripendra Misra attracted unusual attention when he was made the Prime Minister’s principal secretary on May 27, 2014. The reason was that his appointment required an amendment in the Telecom Regulatory Authority of India Act, which was quickly pushed through, so that Modi could have him on his side – one whom he considered his favourite and belonged to an ideology to which he also subscribed. Retired IAS bureaucrat of the 1967 batch, as former Telecom Regulatory Authority of India (TRAI) chairman, Misra established his reputation as a no-nonsense man. The report says, Misra angered Modi over an an interview he gave to The Hindu, where he spelled out priorities of the economy. Especially focusing on the need to bring in reforms in infrastructure and policy reforms, Misra said there was a need to ask why, despite large investments, completed power projects were not operational, why the National Highway Authority of India was unable to deliver on road building targets, and why despite India’s rich natural resources, earnings from exports of minerals had come to a halt while coal was being imported. 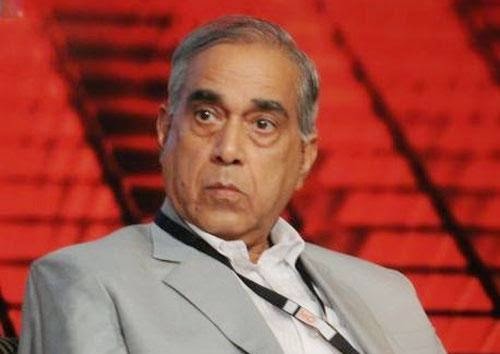 The reason for relying more on PK Misra is not far to seek: A long-time Modi loyalist, Misra, who served as principal secretary to Modi between 2001 and 2004, remained close to Modi even after his retirement in 2008. He was awarded chairmanship of Gujarat Electricity Regulatory Commission on his return from Delhi deputation, and was consulted by Modi in all IAS placements right up till 2014. The report says, Misra has already started scrutinizing all Cabinet notes and representing the PMO at cabinet meetings – tasks were traditionally performed by the principal secretary. The report says, there is reason to believe that this is part of a larger trend visible within this administration, as every significant post in the PMO has been filled with officials who worked with Modi in Gujarat. Other prominent members of the Gujarat cadre IAS officers include AK Sharma, Modi’s secretary in the chief minister’s office in Gandhinagar, who is joint secretary in the PMO; and Rajiv Topno, private secretary to the Prime Minister, whom Modi called “out man in PMO when Manmohan Singh was Prime Minister. This apart Modi’s press notes continue to be handled by Jagdish Thakkar, his public relations officer in Gujarat, and social media by Hiren Joshi, who did the same job in Gandhinagar for Modi. In addition to this, even at the junior level, the Prime Minister trusts persons from the home state. These include Sanjay Bhavsar, who looked after all of Modi’s appointments in Gandhinagar, and Tanmay Mehta and Dinesh Thakur, who remained with Modi to take care of his personal issues. The report also mentions two more names, Prateek Doshi and Hemang Jani, both from Gujarat.